Neomyzus circumflexus or crescent-marked lily aphid. The adult aphids are 1.1mm to 2.6mm in length and yellow or green coloured. The older adults have dark bands across their body with a dark U shape on the back of the abdomen. Their antennae are slightly longer than their bodies. Breeding is parthenogenetic with adults bearing live young (nymphs). Plants become distorted due to the aphids feeding on their sap and sticky honeydew which the pests excrete can be found on affected plants, which often develops sooty mould. The aphids are also ‘vectors‘ (carriers) for at least 30 different plant viruses. Winged adults spread between plants. 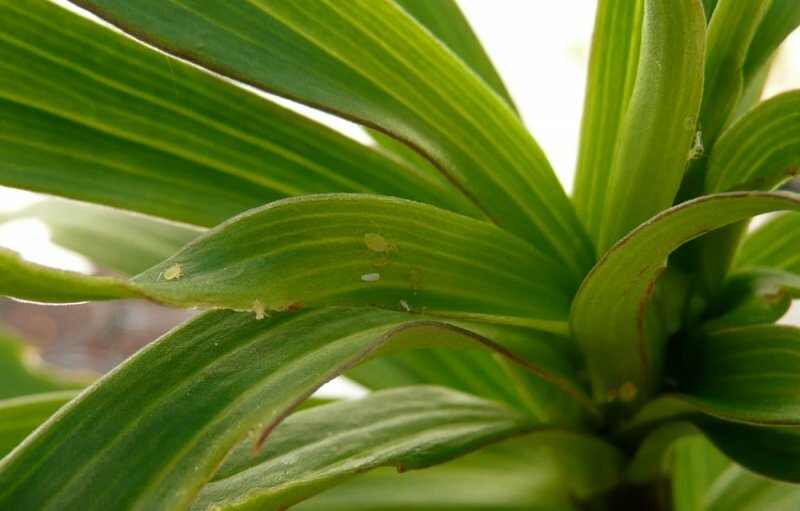 These aphids infest buds, leaves, flowers and stems of a wide range of glasshouse and house plants. Zantedeschias and cyclamen are particularly susceptible. They are most problematic betweeen February and May when the populations grow rapidly, but they can cause problems at other times of the year in the right conditions. Yellow sticky traps can be hung to capture the flying adults. While this does little to control the population it allows you to monitor the number and type of aphids in order to implement appropriate controls. 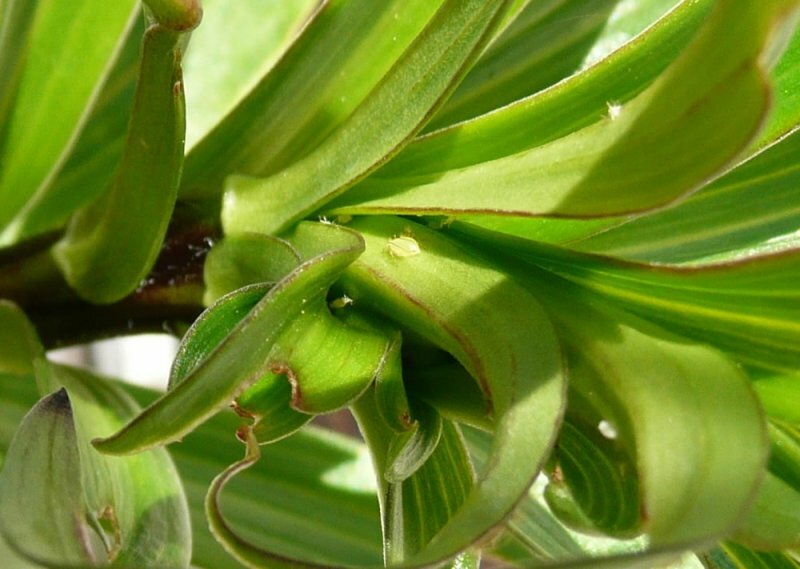 Chemical controls include pyrethrum, fatty acids, plant oils, synthetic pyrethroid compounds (such as bifenthrin), acetamiprid, imidacloprid and thiacloprid.